I hope you had a fantastic weekend! Mine was full of excitement. OSU beat Kansas State in an absolute nail-biter of a game! Go Pokes! Then, just as we were starting to calm down from the rush of the game, a record-breaking earthquake hit Oklahoma. It was the first earthquake I've ever felt and it also happened to be the strongest in recorded history for Tulsa! It was nuts!! 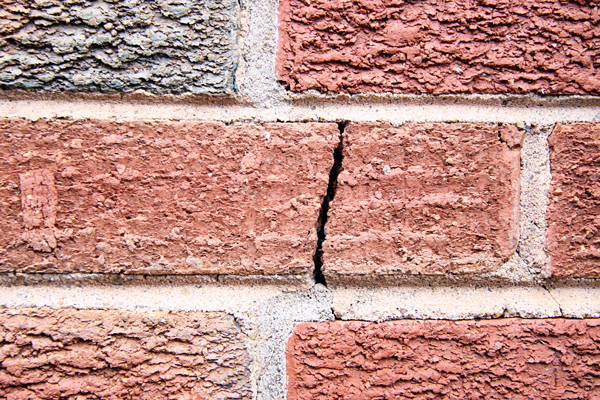 And since earthquakes cause structural damage, I thought it was fitting to include this photo for this week's crazyjoy challenge word: CRACK. Don't worry, the quake didn't cause that, it was like that before. Check back for Anna's photo in a little bit. If you joined in or plan on participating, you have until noon on Thursday to link up with your blog post showing off your interpretation of crack. Link up below.